Stephen Armitage is a 2007 graduate of the University of Alberta with a Bachelor of Physical Education specializing in Sports Performance. Stephen started with AAD as a U of A practicum student for Vimy Hockey in the fall of 2006, and then began working full time at the beginning of the 2007 school year. In May of 2011 Stephen started as the Director of Vimy Sport Rec. He brings with him a passion for sports of all varieties and is always excited to try something new. He holds certificates in health and sports nutrition and athletic first-aid from the Sports Medical Council of Alberta and is designated as a Certified Personal Trainer by the Canadian Society for Exercise Physiology. During high school in his home town of Dawson Creek, B.C. volleyball, basketball, baseball and skiing as well as hockey kept Stephen active. Today he keeps his passion for sports alive playing in an Edmonton men’s hockey league and making frequent trips to the mountains to enjoy the snow during the winter. He plays baseball and softball during warmer months. 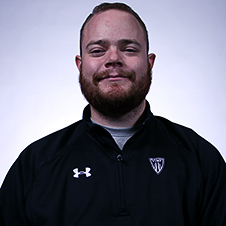 Stephen has also worked with many local sports teams as their athletic trainer, and coach including the Spruce Grove Saints, Maple Leafs Athletic Club Bantam AA & AAA hockey club, and Sherwood Park Titan’s Junior Lacrosse.